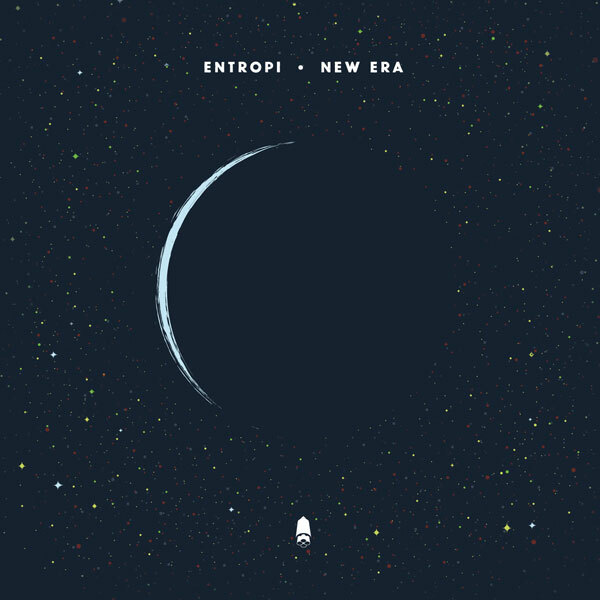 New Era is the debut album from Entropi, an innovative and exciting ensemble making compelling improvised music based on strong concepts and ideas. Led by composer and saxophonist Dee Byrne (Deemer, Zonica, Saxoctopus, Vicky Tilson Quartet), the ensemble also features the talents of trumpeter Andre Canniere, pianist Rebecca Nash, bassist Olie Brice and drummer Matt Fisher. The music explores notions of chance and fate, our relationship with space and the cosmos and the unpredictable and insecure nature of existence. These themes provide a fruitful context for exploring the relationship between order and chaos and between organisation and spontaneity in improvised music. The band’s name (using a European spelling reflecting Byrne’s time studying English and Linguistics in Stockholm) also reflects these ideas.